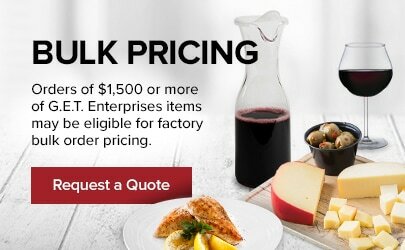 The GET SW-1404-CL 8 oz. 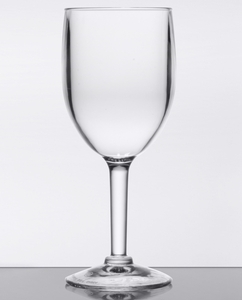 plastic wine glass is the perfect way to reduce glassware breakage without sacrificing quality. 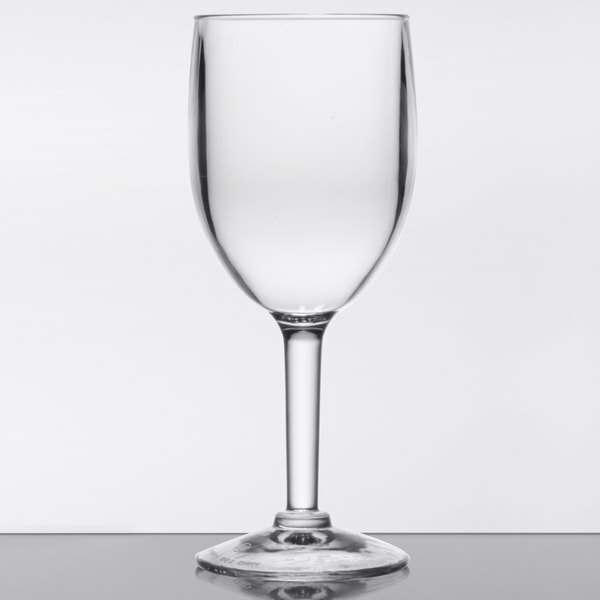 Whether you are serving wine on the patio or by the pool, this GET SW-1404-CL plastic wine glass is a great way to reduce breakage and protect your guests against broken glass while still offering a quality presentation. 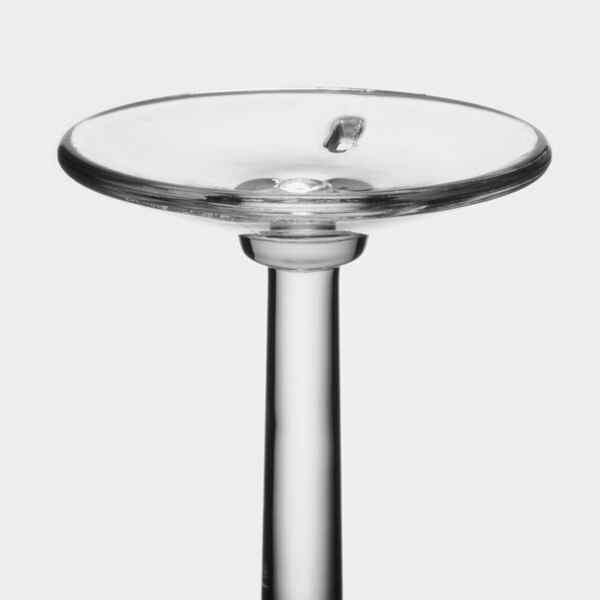 You could even use it at your next catered event or party for carefree, showstopping service! 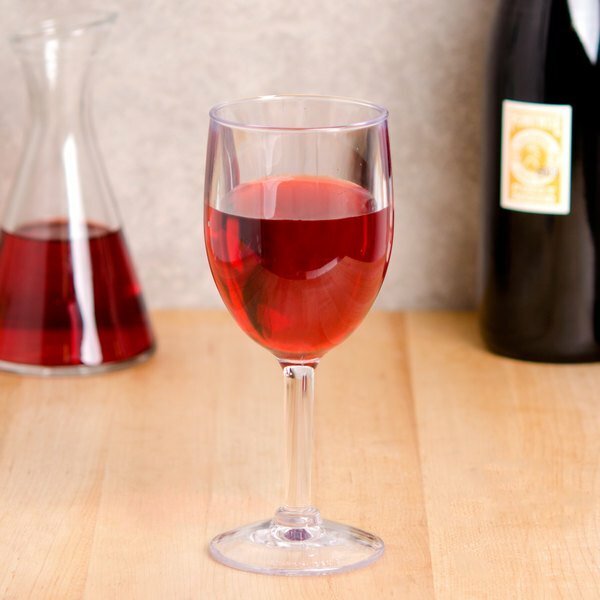 Whether you're serving white wine, red, or champagne, this plastic wine glass is sure to please. 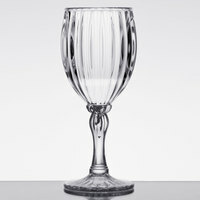 "I like this wine glass a lot, especially for red wine. It's great because I don't have to worry about it breaking if I'm being clumsy." 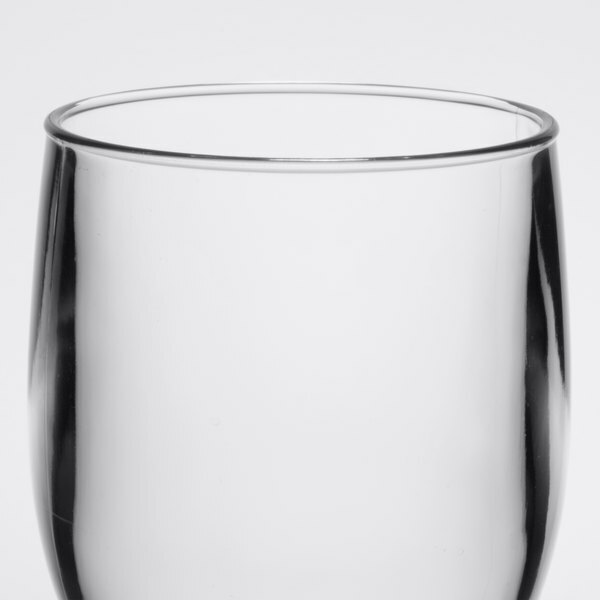 This SAN plastic wine glass is ideal for any bar or restaurant in need of durable barware. Eliminate the possibility of dangerous glass shards on your floor or counters by using it over and over again without fear of breakage. 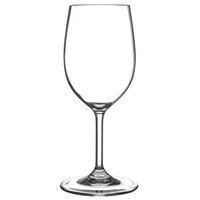 Customers won't be able to resist your drinks as you serve up your signature wine in this classically shaped plastic wine glass. 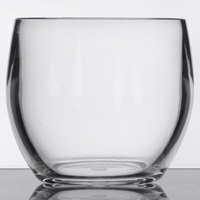 Its narrow bowl sits atop a long stem for an elevated appearance and easy beverage holding. 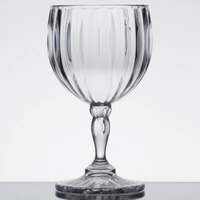 Showcase the vibrant colors of your wine thanks to its crystal-clear construction! This excellent presentation is sure to encourage impulse sales among other guests. 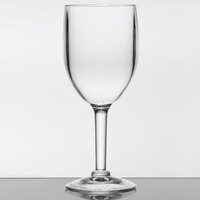 I like this wine glass a lot, especially for red wine. It's great because I don't have to worry about it breaking if I'm being clumsy. They are great except I wish they weren't labeled or marked on the base. However, they do work perfect for what they are being used for. Received winee glasses timely, exactly as ordered and arrived in great condition. Great quality and pretty, much better than expected. I thank you very much!